Posted By:Unknown | At:2:50 PM Be the first to comment! 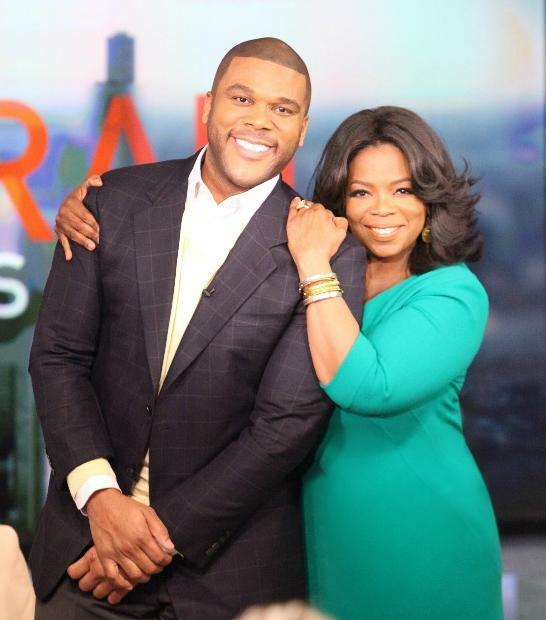 Oprah Winfrey's OWN Network has signed an exclusive partnership agreement with Tyler Perry that will bring all of his new television series and projects to OWN, the network announced Monday. The deal includes two new scripted series that will premiere in 2013, which Perry will executive-produce, write and direct. The series mark the channel's first foray into scripted programming. The partnership between the network and Perry is described as a "multi-year" deal, but additional details of the agreement were not released. "We are all energized by the opportunity to collaborate with Tyler, who has a proven track record for producing highly successful cable series," Winfrey said in a statement. "He has an incredible ability to illuminate life stories and characters in his unique voice and inspires and encourages people all over the world." It's unclear what the new exclusive deal will mean for Perry's current contract with TBS, which airs his shows Tyler Perry's House of Payne, Meet the Browns and For Better or Worse. House of Payne and Meet the Browns aired their final episodes over the summer, but For Better or Worse will air new episodes until Dec. 7, according to a TBS spokesperson. "Beyond that no decision has been made," the spokesperson said.